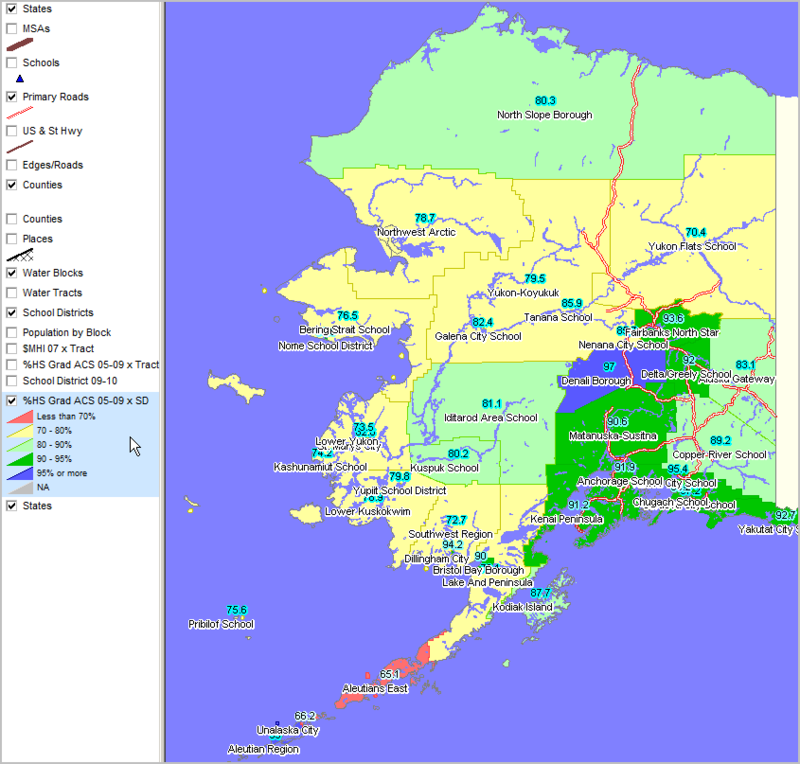 Selected CV XE GIS project/application views in Alaska. • Alaska school district demographics: http://proximityone.com/sd_ak.htm. 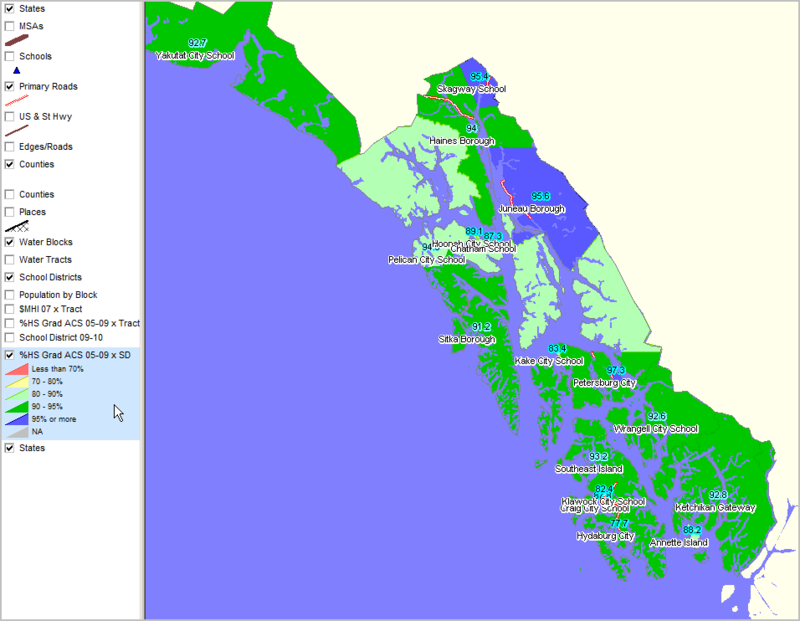 • Alaska census tract demographics: http://proximityone.com/ustr0509_ak.htm. See southeastern part of state below this map.